This ensemble is very popular with collectors and can be difficult to find, especially the sailboat and brochures! 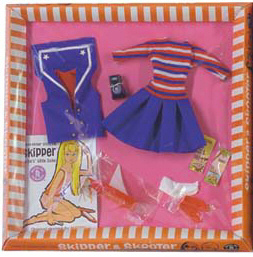 Barbie's matching ensemble is Aboard Ship #1631 (1965). 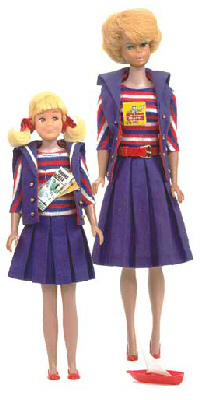 Leave Vintage Skipper Ship Ahoy, Return to Vintage Skipper Dolls Main Page.